Vacation photos, school photos, birthday photos – you’ve got a million photos stored somewhere, right? Whether you’re showing photos off to guests or just browsing your own archives, now it’s even easier to do so on your Amazon Fire TV – just ask Alexa! Now, you can relax on your living room couch and flip through your photos and personal videos on the biggest screen in your home using your Alexa Voice Remote. (Please note: This launch is only in the United States.) We just received an Amazon Fire TV Stick and I’m super excited to try it for myself. I’ll share with you later once I have had some time to use it, but in the meantime, I’ll tell you what I know already! Not only can you see your photos, you’ll also be able to play a slideshow of your albums, if you so choose. 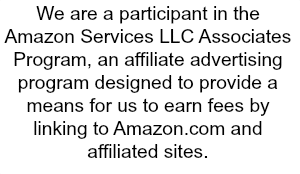 With Prime Photos, all US Amazon customers receive 5 GB free digital storage for photos, videos, and files. Plus, if you’re a Prime member, you automatically get unlimited photo storage with Prime Photos and 5 GB digital storage for videos and files. This also helps solve the problem of where to actually keep all of those photos! Prime Photos helps keep your photos right at your fingertips, wherever you are. Keep your photos safe while you free up space on your devices when you store your photos online with the free Prime Photos apps. This voice-activated program is a great addition to what you can already do with Prime Photos on your Fire TV. 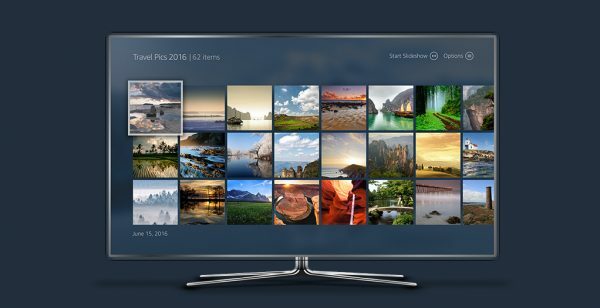 Check out more ways to use the Prime Photos Fire TV app here (hint: you can even change your screensaver! ).